Hello everyone! Today I created a card to send out all year 'round. I used products from many different companies and I really love combining them. With Lawn Fawn dies I created the mailbox, the stitched rectangle and hill. I colored in all the pieces with distress ink before diecutting them. On some of the images I sprinkled water droplets and some of them I just left as they were. Otherwise it woulde be too overwhelming, I guess. The mailbox from 'happy mail' is the focus point of the card and I just love this die also the sweet little envelope you can tuck in. For the background I used the 'postage stamp' die from Avery elle and the grass is made with dies from 'jungle friends' from MFT. For the greeting I chose a very versatile one from 'labeled messages' (Mama Elephant). I think the card doesn't need more details so I left it when everything was adhered to a white cardbase. For each of the cards I blended the distress ink colors spun sugar, dried marigold and scattered straw and sprinkled some water droplets. I stamped the images and colored them in with pale Copic markers. I also used some Wink of Stella clear brush pen to add a little shimmer to some of the images. For the tails I used nuvo accents. For the sentiment I combined the greeting from the stamp set with 'upper calli letters' and 'calli letters' in order to personalize the cars. Aren't those names so cute? I also used the 'all prettied up' die for each of the cards and create a cute pink bow. As a cardbase I chose a shimmer paper. I decorated them with clear sequins. Thank you so much for stopping by and have an awesome week! For the background I used my Zig clean color real brush markers together with some water. I think I repeated this two times in order to get that nice watercolored look. I stamped the sweet Panda from 'pandamonium' and the heart balloons from 'cub cuddles'. I used Zig markers again for the coloring. Then I two of the 'fancy scalloped circle stackables' from white cardstock and the adhered them together with the stamped and cut images. 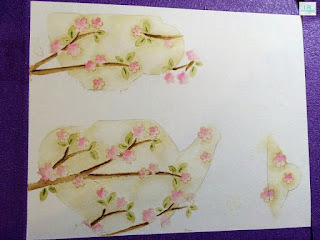 I diecut the whole piece with 'postage stamp' and used the die a second time on a piece of cardstock which I colored in with coordinating distress inks in an ombre look. Last but not least I added the sentiment and some Nuvo glitter drops to finish my card. Hello everyone! I have another feel well card to share wih you. I went with the versatile 'page huggers' stamp set and the 'band aids' dienamics for this one. Next I stamped the sweet mouse page hugger, colored it in with Copics and diecut it. I also diecut the smaller one of the band aids and colored it in with distress inks. The heart is diecut from red glitter paper. I added some hearts in the same distress ink and bend the sentiment stamp to line up with the circle. As a cardbase I chose a craft cardstock. Hi everyone! After all the Christmas cards I really need to restock the different types of cards. 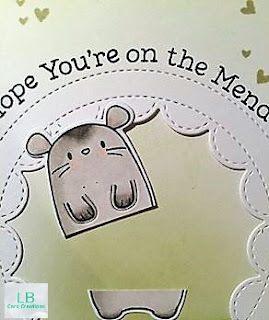 Today I have a feel better card using MFT dienamics and stamps from Mama Elephant and MFT. I wanted to use the teapot and the cup dies from MFT and decided to create a nice flower pattern. 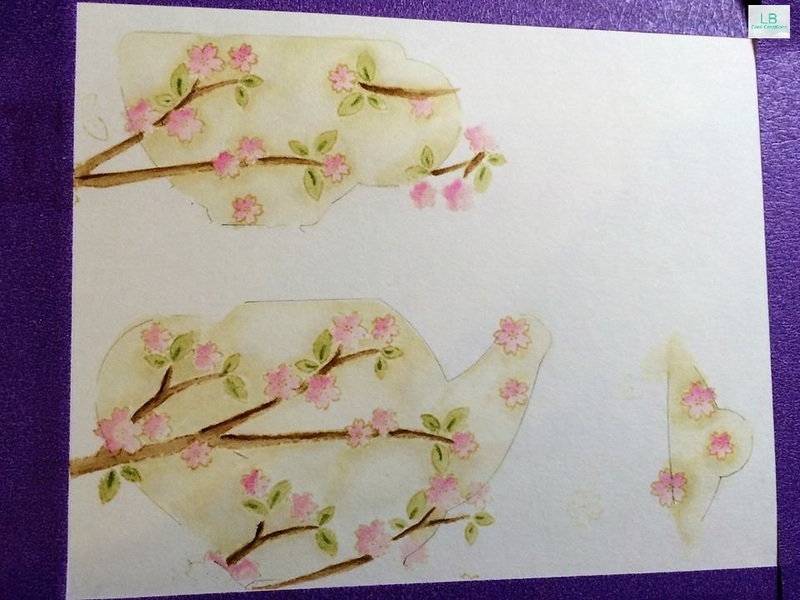 First I traced the dies on a watercolor paper so that I knew where I had to do the stamping and coloring. Then I used the 'lunar extras' images from Mama Elephant and stamped them with antique linen distress ink. I colored the images in with distress inks . After letting it try I diecut all of them and was ready to continue with the background. To match the teapot and cup I chose a brown distress background and sprinkled some water droplets to create more interest. For the sentiment I used the 'feel better' stamp set from MFT. Last but not least I added some Nuvo drops for more detail. Thank you so much for stopping by and have a great time!